Although I bragged about being an ebook wizard the last time, I have since been humbled, particularly after spending 2 or 3 full days revising my ebook (primarily because of photos, but more on that next time). As I mentioned in my last post about this, I decided to use Smashwords to be able to provide multiple ebook formats in addition to publishing on Kindle. One of the problems I found was that the ebook field is changing all the time. A lot of people have posted helpful advice on the web, but much of it is dated. If you start Googling for help, it can become very confusing, very rapidly. Trust me on this. You don’t need to know html. You just need to know how to format a document. This entry was posted in Books, Self-publishing, Where Memories Meet and tagged ebooks, Self-publishing on September 29, 2015 by CMSmith. Well, maybe I’m not quite a wizard, but I’m certainly more proficient than I was three days ago. Smashwords, an online multi-format ebook publisher, uses a “meat-grinder” to process book files. The author submits a word document; it goes through the meat-grinder and out comes a variety of ebooks that can be read on many types of platforms. You’re probably familiar with pdfs. Other formats Smashwords can produce, and then publish, include but are not limited to mobi for the Kindle, and epub for Nook. This whole ebook business can be pretty complicated. But it’s all about what file types a particular software can open. For the past two days I feel like I’ve been in a meat-grinder. This entry was posted in Books, Self-publishing, Where Memories Meet and tagged Scrivener, Self-publishing, Smashwords, Where Memories Meet on September 20, 2015 by CMSmith. Here’s my first cliche: Time flies. My last post here was May of 2013. I’m surprised I was able to string four words together at that point in time. It was only four months after both of my parents exited this life within two weeks of each other, under rather chaotic conditions. It took me a while, nearly two years, to recover. 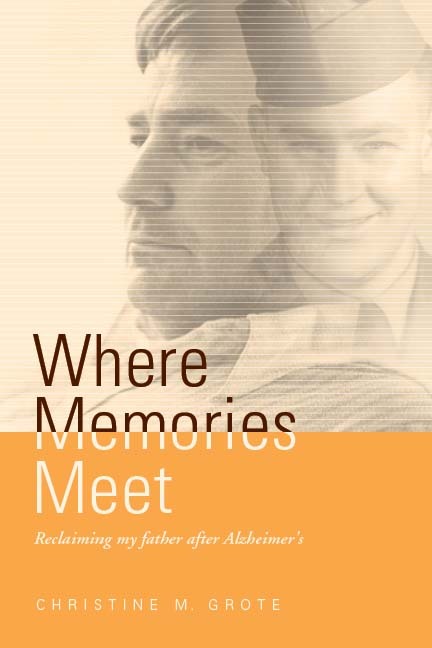 I have been writing, editing, and revising my next book, Where Memories Meet – Reclaiming my father after Alzheimer’s. I’ve been up, down, and around the block about this book. Back in 2008, or maybe even earlier, my father asked me, “When are you going to write my story?” As this was well before I wrote Dancing in Heaven, he must have gotten the idea from the rather large and bulky family history books I had written, printed on my computer, and bound at Kinkos. Sadly, Dad, and Mom, both are gone now and will not be able to reap the rewards of their patient responses to my questions about Dad’s life. It was not an easy task for me to listen to Dad’s voice on tape once he was no longer able to speak. I can tell you that. Mom was my number one fan. She believed in me, as most moms do, I suspect. Continuing on with my writing became a lot more difficult in the absence of my loudest and most faithful cheerleader. Well, the long and short is that I bullied my way through finishing Dad’s book and intend to self-publish it, as I did with Dancing. I tried something new and a little unusual in the telling of the story. Some have found it confusing. Maybe you can leave me a comment if you read Where Memories Meet and let me know whether you liked the choices I made in the telling of the story, or not. 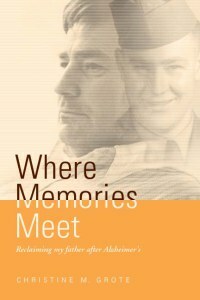 I hope to make Where Memories Meet – Reclaiming my father after Alzheimer’s available in the fall. This entry was posted in Books and tagged Self-publishing, Where Memories Meet on August 8, 2015 by CMSmith.